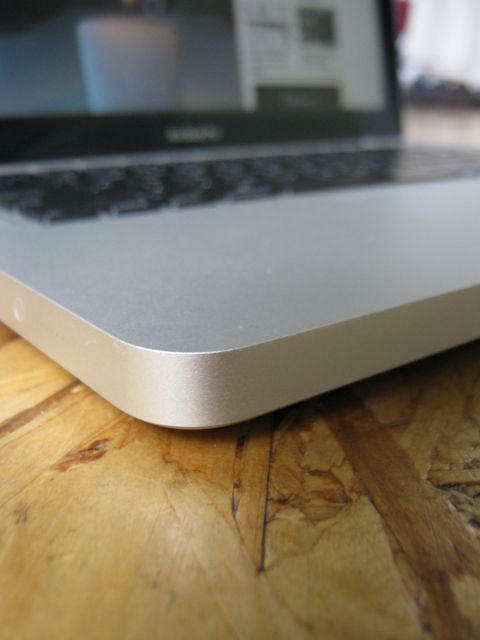 Last fall I bought a 13-inch unibody MacBook, and I fell in love. For the last seven months I’ve been head-over-heels with the machine. 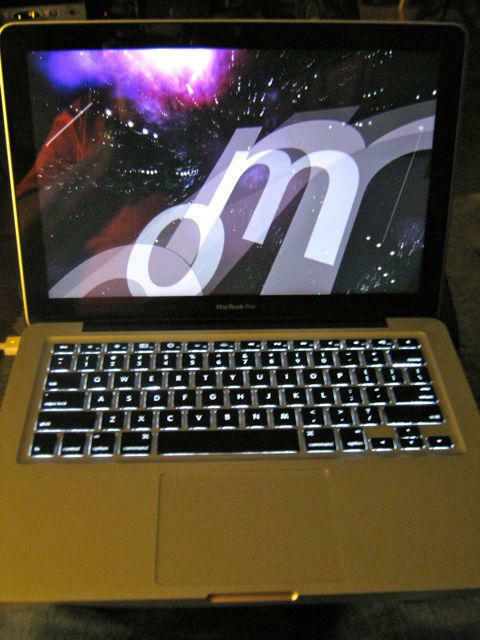 But now there’s a new love in my life: a brand new 13-inch MacBook Pro, which is shaping up to be the perfect laptop. 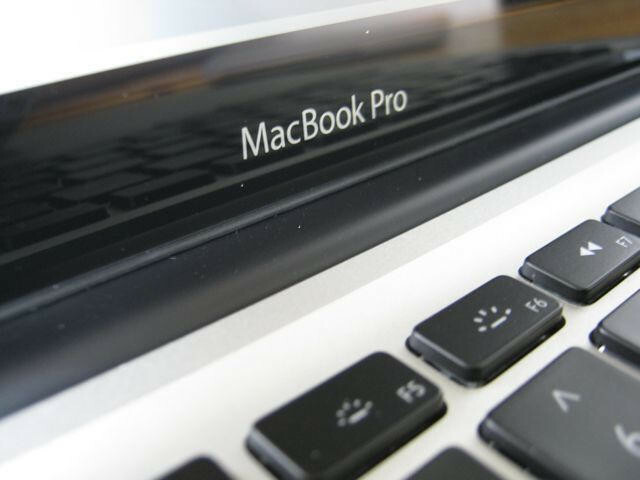 Released last week, Apple’s MacBook Pro 13″ is an amazing machine. It’s priced as a starter, but it’s now truly a “Pro” laptop. It’s worthy of real work. It adds many of the “Pro” features previously reserved for its higher-end siblings, but costs hundreds of dollars less. 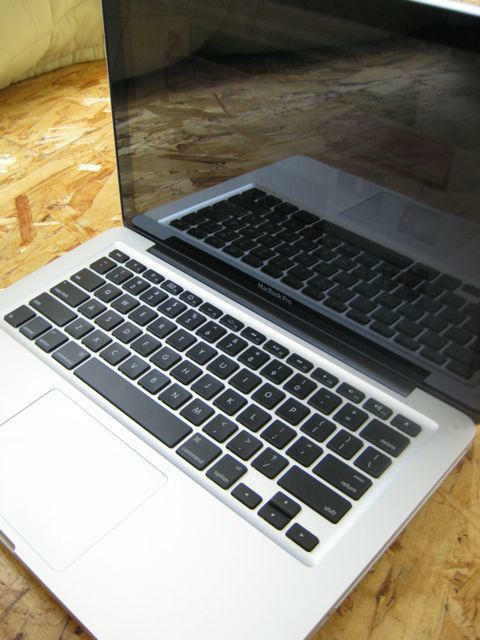 It now has an awesome, all-day battery; a bright, energy-sipping screen; and a backlit keyboard. 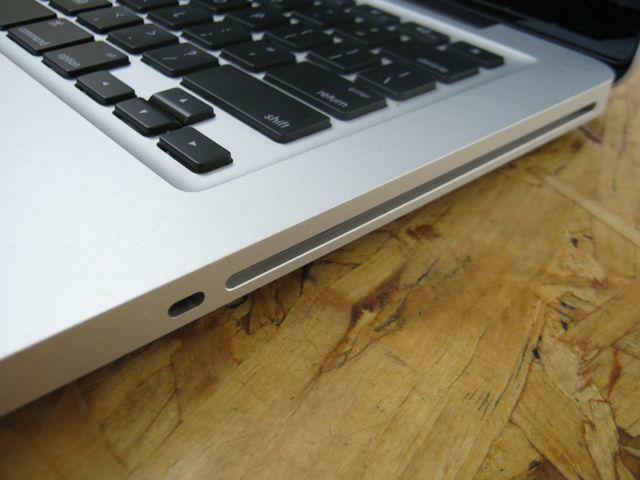 Firewire is back, and there’s an indispensible SD Card slot. And yet it starts at just $1,200. For a computer of this quality and power, that’s a steal. Full review after the jump, including real-world benchmarks and tons of pics. 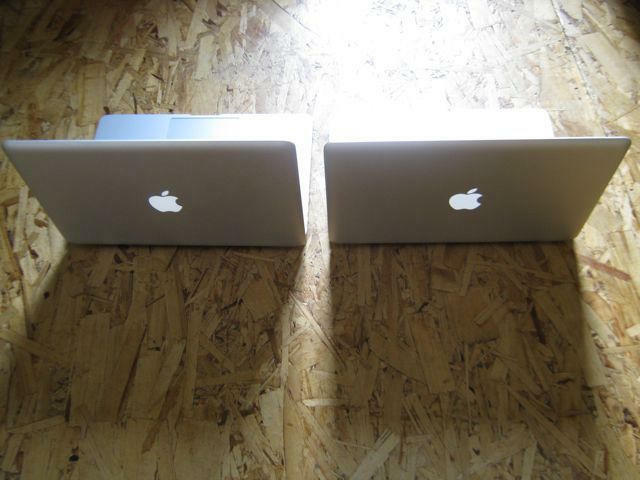 Spot the difference: The new MacBook Pro and the 2008 MacBook Unibody. The new one is much improved, and cheaper to boot. There’s been some puzzlement about the “Pro” label applied to this formerly entry-level laptop. 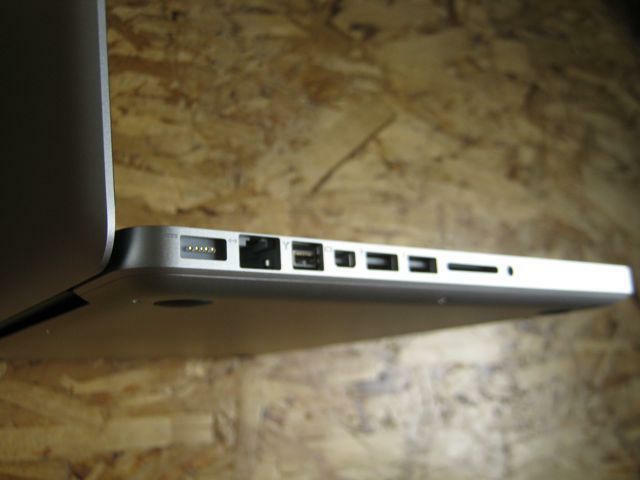 But Apple’s done a great job with the MBP 13″. It’s lowered the price while bumping the specs. One of the best ~$1,200 laptops just got a lot, lot better. There’s a lot to love about the MBP 13″, but the best thing is the new built-in battery. This battery lasts forever. In an afternoon spent working — Word, Firefox, Photoshop and WordPress, all while listening to iTunes, I’ve gotten 6 hours and 20 minutes from a single charge (about 70 percent brightness, WiFi on, 20 tabs in Firefox. It was working so hard, the MacBook got hot and the fans kicked in). This is not just impressive, it’s awesome! I can spend all morning at the Ritual coffee shop, which has covered up all the electrical outlets, and spend only $2 on coffee! This kind of battery life is reserved for iPods and mobile phones, not laptops. The 2008 MacBook got undr 2 hours in such conditions. Apple and others have gotten 8 hours plus in light usage. And who cares if the battery is sealed in? You can’t change the battery mid-flight, but why worry when it’s good for crossing the entire continent? Instead of standard lithium ion batteries, which are cylindrical and waste a lot of space, Apple is using a flat-pack battery. The flat pack efficiently squeezes a lot more power into the cramped case. Eliminating the battery compartment also saves space, making for a bigger battery. The new battery gives an extra 46% of battery capacity with no additional weight. 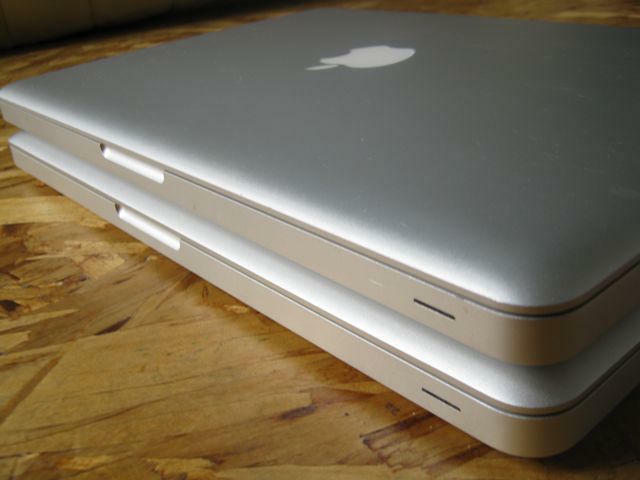 The beefier, built-in battery is inherited from the MBP’s big brother, the 17-inch MacBook Pro. The battery will last for 1,000 charge cycles, which if charged 200 times a year, would last five years. Even if it were charged every day, it would chug longer than three years. Apple will replace the battery and dispose of the old one for $120, but it’s a trivial operation, and third-party vendors will have cheaper, DIY alternatives. 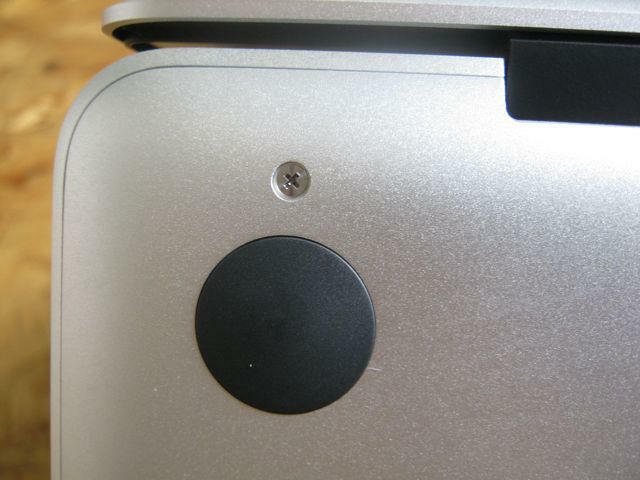 The battery, RAM and hard drive are accessed via a screwed-on panel. All are easily swapped out in a few minutes. The MBP 13″ is nearly indistinguishable from its 15-inch and 17-inch siblings, but is hundreds of dollars less expensive. That may sting those who coughed up for the pricier machines: there’s little to show they dropped the extra scratch. And it packs most of the other Pro’s most desirable features — the long-lasting battery, the better screen, the backlit keyboard. The backlit LED keyboard is a fantastic addition. It’s so bright, it lights up like a Christmas tree. 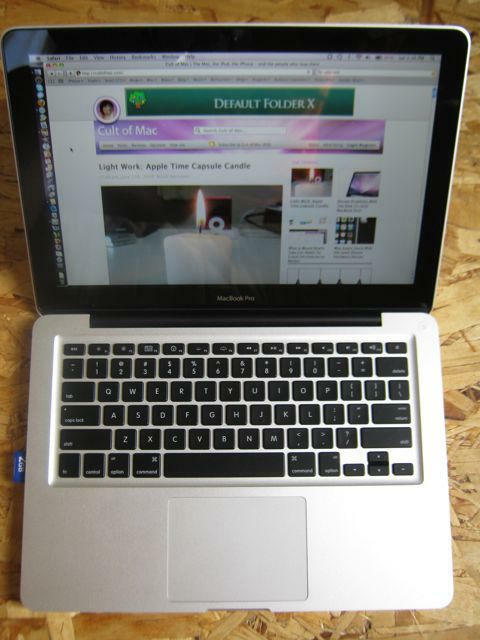 On the previous MacBook, I was forever tilting the screen forward to see the keys in the dark. Now the keys are so bright, I can almost see the blood through my fingers. 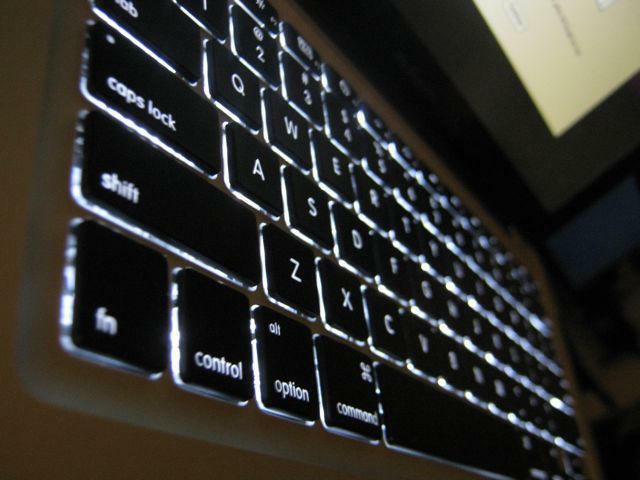 The backlit keyboard is bright. 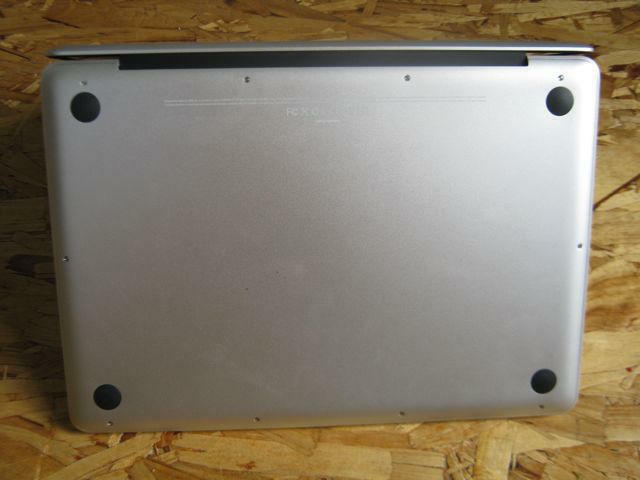 The first thing you notice about the MBP 13″ is that the packaging has been reduced to almost nothing. The box is so small; my son asked if it was a mini computer. Gone are the Styrofoam and the separate, fussy boxes for all the components. Apple has at last started to get its green act together. Apple was a laggard, trailing even hick Texas companies like Dell — but it has done a lot to catch up. 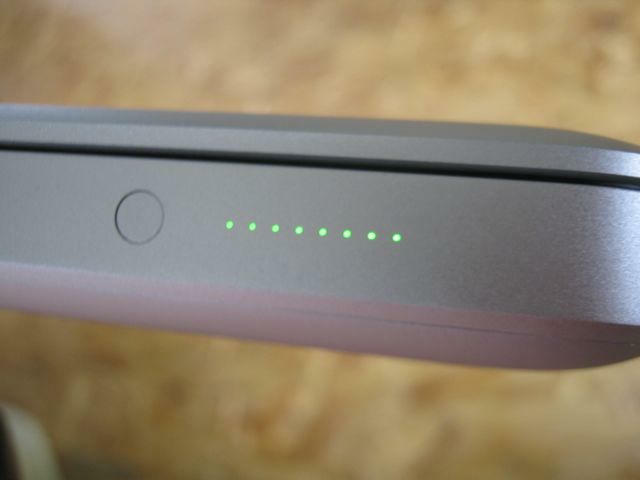 Even though it’s a contradiction in terms, the MBP line is as about as green as it gets (how can modern, mass-produced products ever be “green?”). The machines use about a third of the power of a light bulb, and many of the toxins have been eliminated from manufacturing, Apple says. One big improvement over the previous MacBook is the backlit LED screen. Though the same res (1280×800), the improved backlit LED display has a 60% better color gamut than the previous screen. Side-by-side, the new screen is clearly better looking with a wider viewing angle. 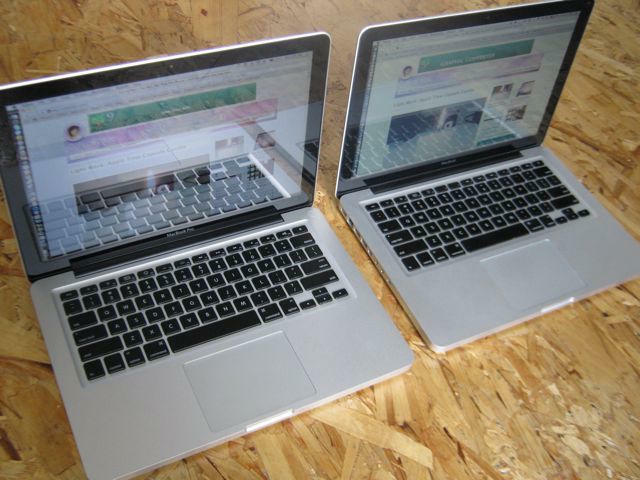 It’s the same primo screen used in the 15-inch MBP, but the 13″ is a lot cheaper. 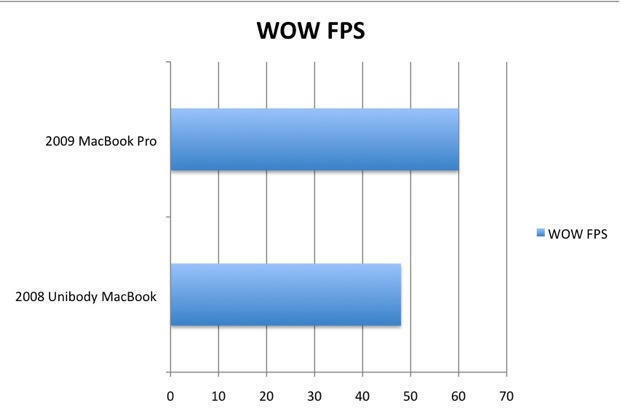 Of course, the MBP 13″ has integrated graphics, and doesn’t rock a dedicated graphics card like the 15- and 17-inch MBPs. But if you don’t play games or do 3D modeling, the system is perfectly capable of most day-to-day, like watching high-def video. 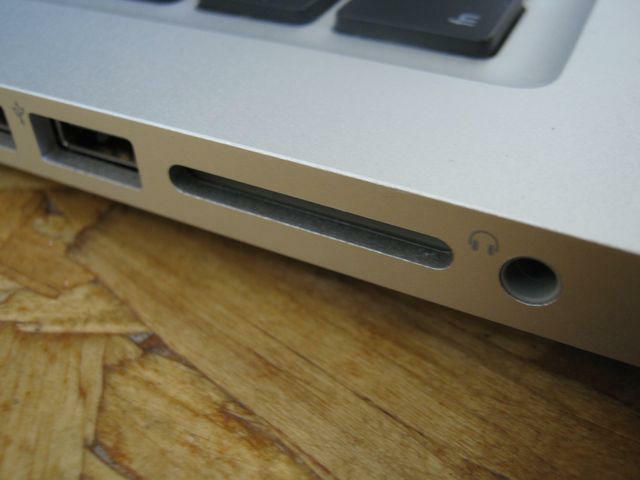 The other big diff is the SD Card slot — the previous model didn’t have any card slots. The SD Card is a welcome addition. 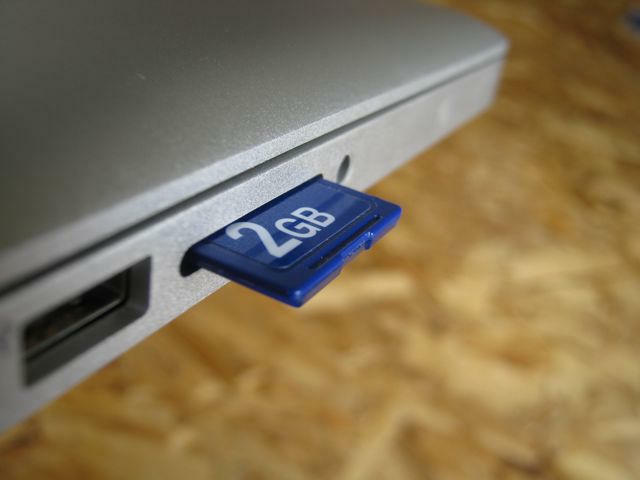 I hate carrying a card reader; I always forget it; and one of the most useful features of my EEEPC hackintosh is the built-in SD Card slot. You can even boot from it. 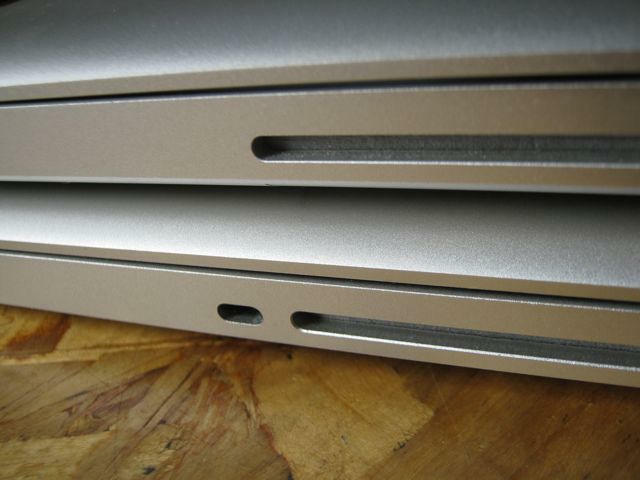 One downside is the audio ports have been combined into one. The single jack now handles both audio in and audio out. So no recording and headphones at the same time. And while it supports both analog and digital out, there’s only analog in — no digital in. 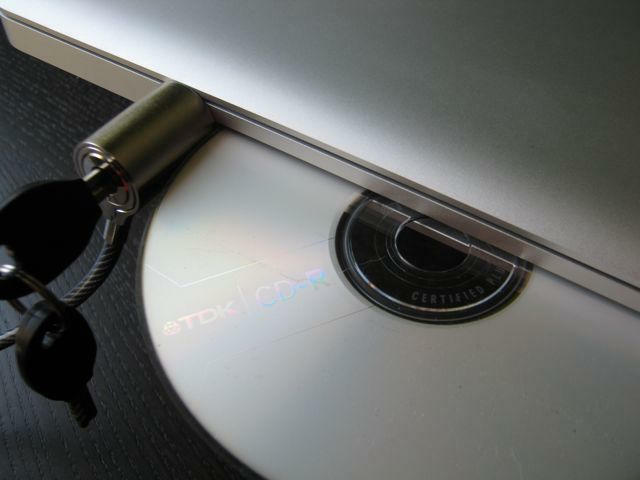 However, there are lots of inexpensive USB audio adapters on the market. 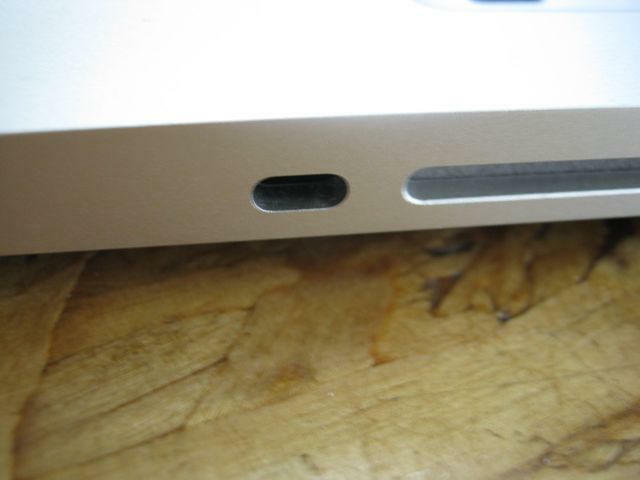 The Kensington security slot does not block the optical drive — but it’s very close. 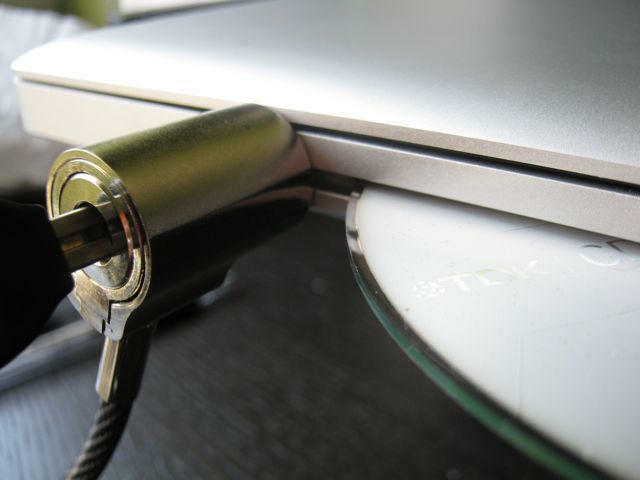 The disk rubs against the security lock but isn’t blocked from sliding in or out. 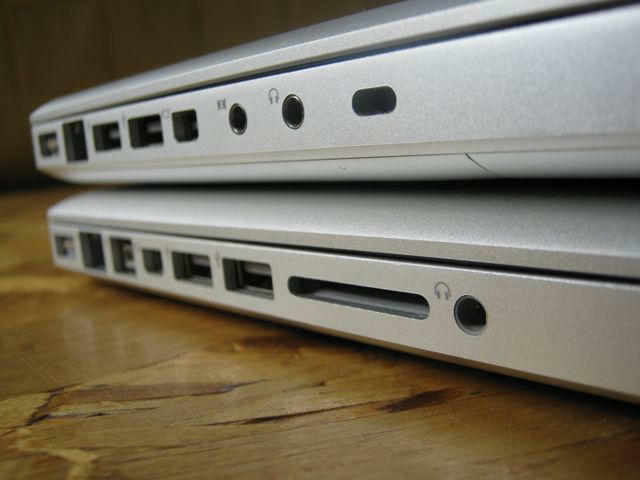 I never noticed the lack of Firewire on the old MacBook until migrating from one machine to another. Instead of using Firewire Target Mode to transfer files, I used the Migration Assistant software over Ethernet. Applications transferred OK, butÂ files did not, so I’m back to the minor inconvenience of using an external disk. The build quality remains impressive and true. 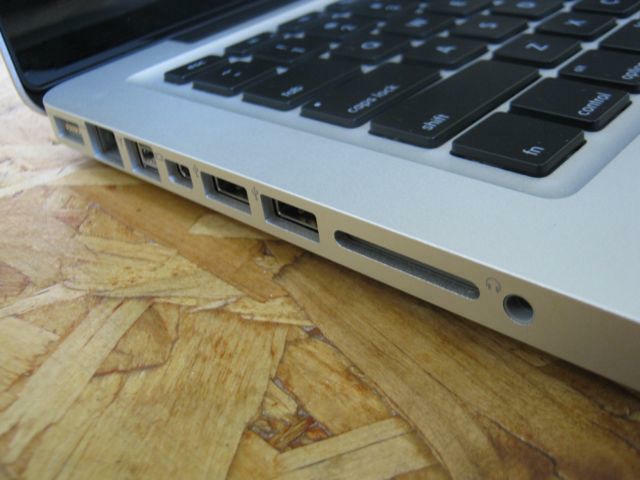 The unibody MacBooks exude quality. They’re very well built. 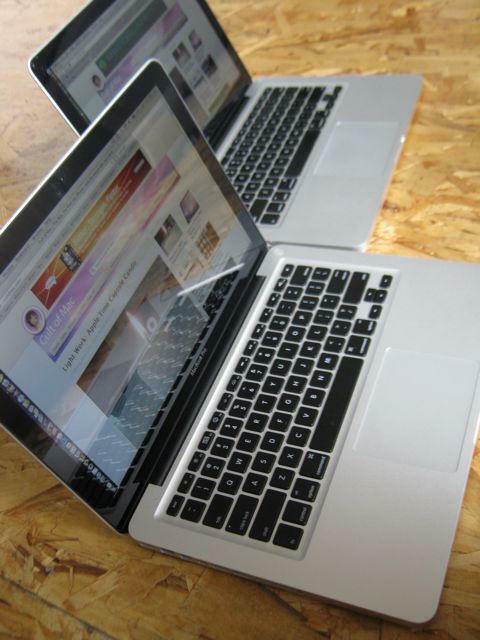 In terms of looks and materials, the MBP 13″ is more or less indistinguishable from the higher priced machines. It’s as good as the 15-inch or 17-inch, but at a fraction of the price. 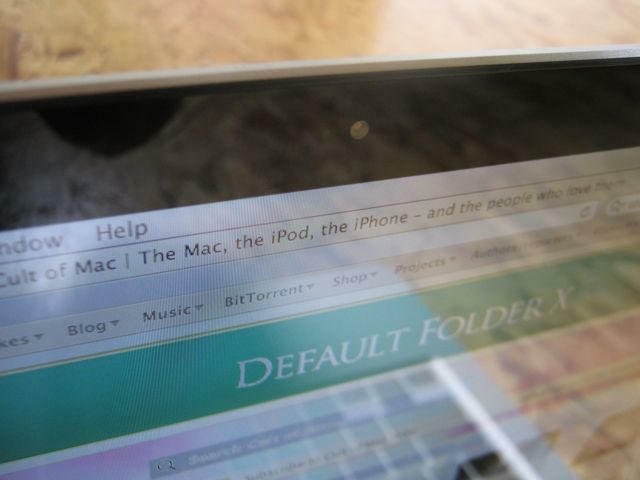 The buttonless glass trackpad is a fantastic innovation, a pleasure to use. There are also complaints about the price: $1,200 is not the cheapest laptop. But it is one of the cheapest quality laptops. My brother bought an $800 Asus last year at the same time as I bought my unibody MacBook. His Asus has fallen to pieces, and now he’s inheriting my old machine. Converting 46 min album from AAC to MP3 — 3.15! 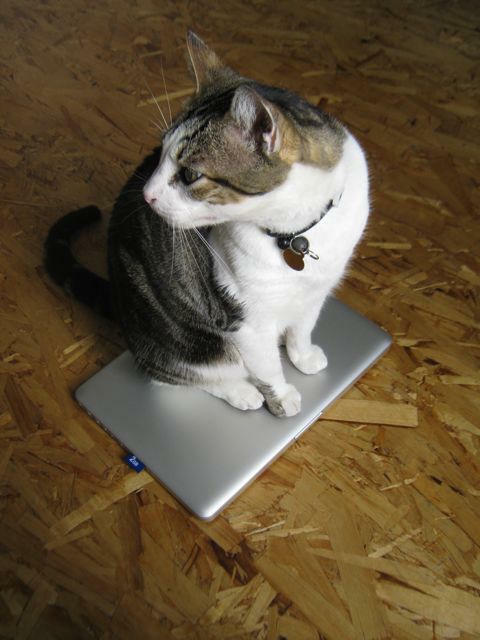 * The 13-inch MacBook Pro truly deserves its “Pro” label. But it’s priced at a “consumer” level. * It’s cheap, but not cheap junk like a Netbook. * It is fast, capable, and a ton of fun to drive. * Battery life is amazing. 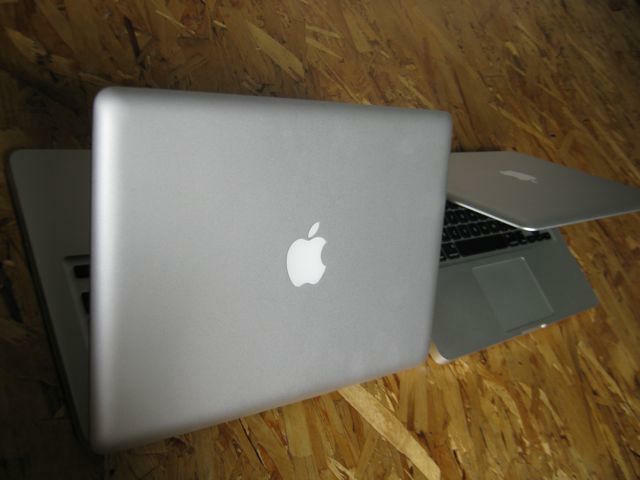 Apple link: 2009 MacBook Pro 13-inch. Get the MBP 13″ at the lowest price from DealNews.